What do you need solving? A dynamic and fast growing law firm with a strong focus on meeting the needs of the clients and their businesses. Strategic partnerships with industry leaders allows us to provide a full comprehensive service to all our diverse clients of all demographics and to cater to their unique and specific needs. 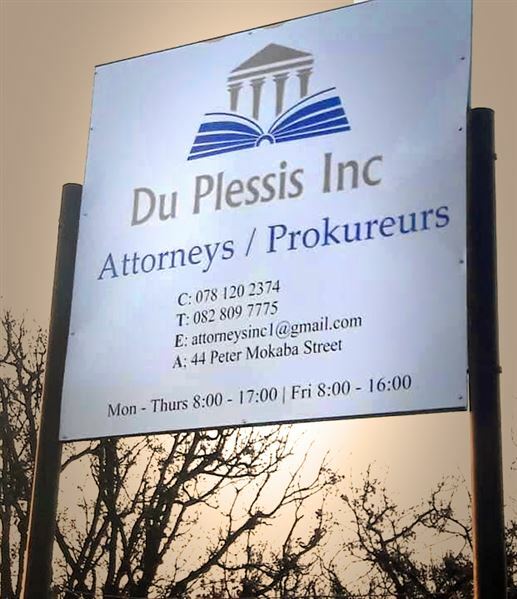 As a new generation law firm that has faced and successfully met the modern multi-disciplinary challenges, Du Plessis Inc continually seek to find a balance between appropriate legal services and cost efficiency. 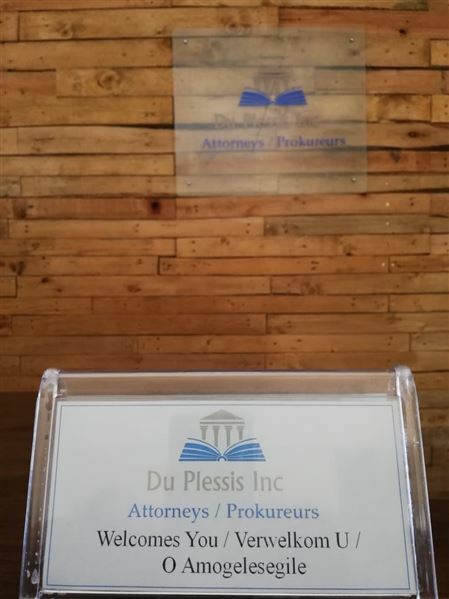 We have a sound commitment to excellence, we have the ability to cut straight to the chase in any matter..
Du Plessis Inc offers a wide range of services to our clients. We believe that the core of any successful law firm is to surround itself with leaders in every field who can add value to the firm and the clients to which the firm renders a service. As such, Du Plessis has sound working relationships with experts in all relevant fields to ensure that clients receive the best assistance in every matter without exception. Having a loved one get hurt or getting hurt yourself is never easy and can be very expensive taking into account hospitalisation, aftercare and even employment. To assist affected clients, we have partnered up with a specialists in the field and subject to qualification, will take on matters on a NO WIN, NO FEE basis. Requiring several specialist medico legal- and actuarial reports etc can be overcome by property qualifying a claim, quantifying it and assessing the risks and deciding to take it on on a contingency basis.